Tom's Wacky Packages - Uncut Sheet! 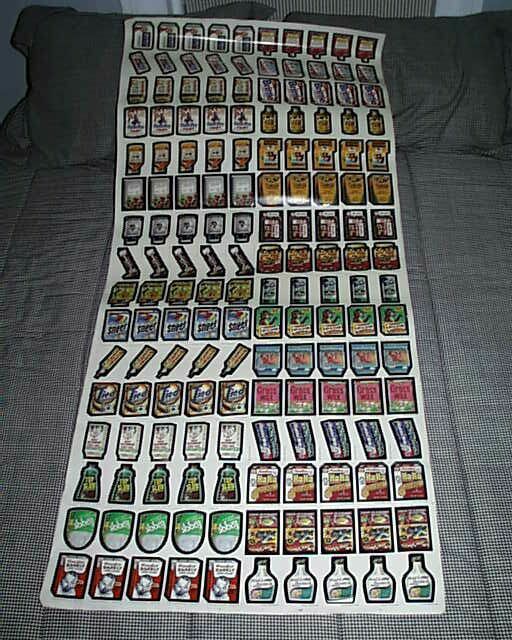 FOR SALE: Rare Wacky Packages Uncut Sheet! It includes original series wacky packages stickers from series 1 through 7 of 1973 and 1974. There is even 5 rare Lavirus stickers from the 1st series on it! This sheet is NOW on EBAY for auction! Click HERE to check out the auction and to make a bid. Good Luck!